She is a Registered Dance Movement Psychotherapists (RDMP) and the creator of Dance Your Feelings, a therapeutic movement and dance company. She has been trained by Rolando Toro Araneda the creator of Biodanza. She is a Didactic teacher, tutor and Director of the IBF School of Biodanza Cardiff. She is a Montessori teacher for 17yrs. Karen was invited by the national autistic children society in Araas, France to lead a class, by the stepping stones charity in Dulwich, London, by Arfryn Primary School in Swansea, wales, Ashburnham primary school in Chelsea, London and also Swansea university for adult education. Karen is also trained in aerobic dance, physiology and holistic massage, movement for health and colour therapy. In 2004 she led a seminar for teachers in South Africa to work with children in schools at an international congress. 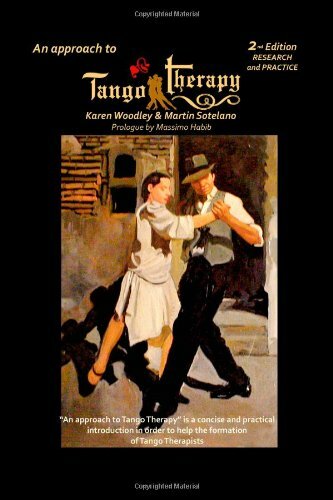 Founder member of the International Association of Tango Therapy Therapists. He is Argentine, Professor of Design and Photography. Born in 1961 in Lanus, close to Alsina Bridge, cradle of “malevos” and “milongueros”. Since he was young he was interested in this particular culture and in learning to dance tango and milonga with famous dancers of the area and Delfin Gavilan too. As a professional in graphic design and photography he worked in advertising. Also he was a professor in Palermo University, Belgrano University, Raggio College among others. However, his passion with the Tango did not drop off. He collaborated with the Secretary of Culture of Buenos Aires city, General Administration of Libraries of the Buenos Aires province in La Plata, Identity Foundation in Buenos Aires and INCAM Cultural Teaching College, Buenos Aires. Also, prof. Sotelano worked in the famous “Bar Sur” and Union Bar in San Telmo. As an author and Tutor he published several books as a design professor such as “Corel Draw, a guide to”, and “An introduction to Digital Photography for photographers,” also he developed courses for IAC (Computing Argentine Institute) and Argentina Corel Draw Users Group. Also Founder member of the International Association of Tango Therapy Therapists.